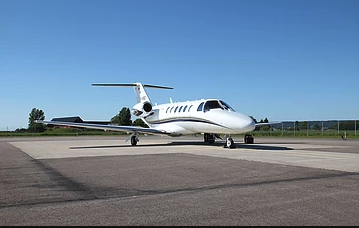 We have a great Citation Jet 2+ light jet with seating for 6 passengers available on the 24th May for a flight from Nice to Biggin Hill. This aircraft is a fantastic choice with a built in lavatory, full refreshment centre and is capable of carrying up to 1,100 pounds of luggage. The Citation Jet 2+ seating arrangement is typically laid out in a in a club arrangement with two forward facing seats.